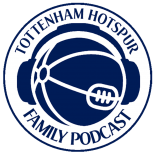 Atour Toma takes a look Pochettino’s rotation of the Tottenham Hotspur squad. Atour Toma takes a look at Mauricio Pochettino’s decisions over the season. It has never really been in doubt that Mousa Dembele is an extremely gifted footballer. The announcement of a new four-year contract last week is a testament to how important a player he has become for Spurs. The Forward Line with Elliott Line – Looking ahead to the game against Monaco on Thursday, 10 December 2015. The Forward Line with Elliott Line – Looking ahead to the game against West Bromwich on Saturday, 5 December 2015. The Forward Line with Elliott Line – Looking ahead to the game against Chelsea on Sunday, 29 November 2015. The Forward Line with Elliott Line – Looking ahead to the game against Qarabağ on Thursday, 26 November 2015. The Forward Line with Elliott Line – Looking ahead to the game against West Ham on Sunday, 22 November 2015.